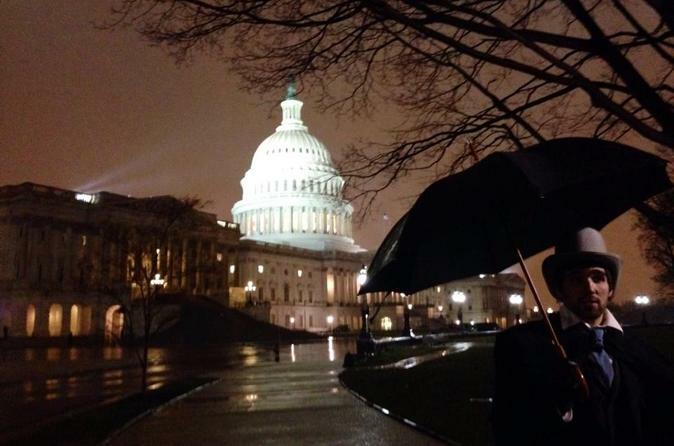 Delve into a world of spooks, ghouls, and haunted souls on a 1.5-hour walking tour of Washington DC’s Capitol Hill. Set out with your group and guide along local streets and into one of America's most haunted structures: the United States Capitol. Learn how ghosts of past continue to feud in the afterlife, associate with the spirits of former presidents, and hear about the Capitol Hill curse, which continuously casts its powers. Enjoy this fascinating look into DC’s dark past and spooky present. Your tour begins at 8:30pm outside the Starbucks on Capitol Hill. Have you heard the stories about the drunken phantasm, the judgmental visitant or the presidential phantom? You’ll learn these and more on a 90-minute walking tour of DC’s Capitol Hill. Meet the ghost of America’s sixth president John Quincy Adams, mingle with the spirit of James Madison, and get to know the phantom of William Howard Taft. Explore haunted locations in and around the Capitol building with your expert guide, and be prepared for a shock or two as you go. Enjoy frightfully good fun while delving into the political history of Washington DC.